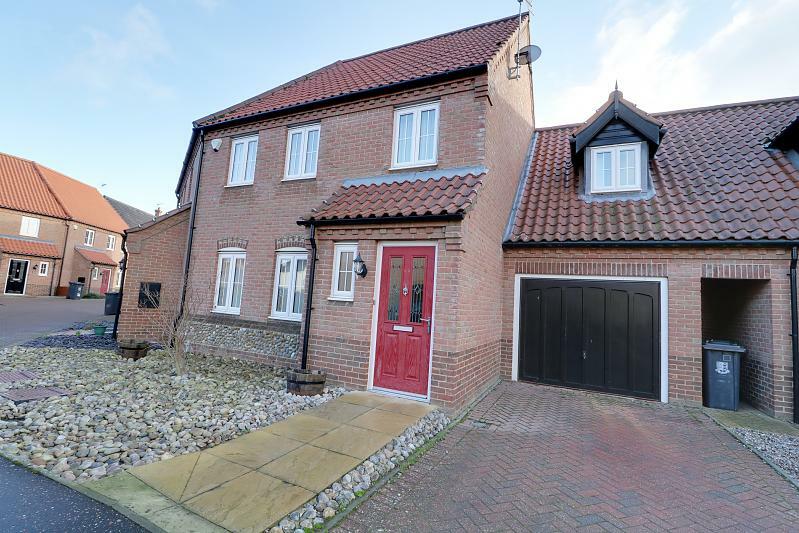 A four bedroom linked terraced house in the popular Norfolk Homes Estate in Hemsby. 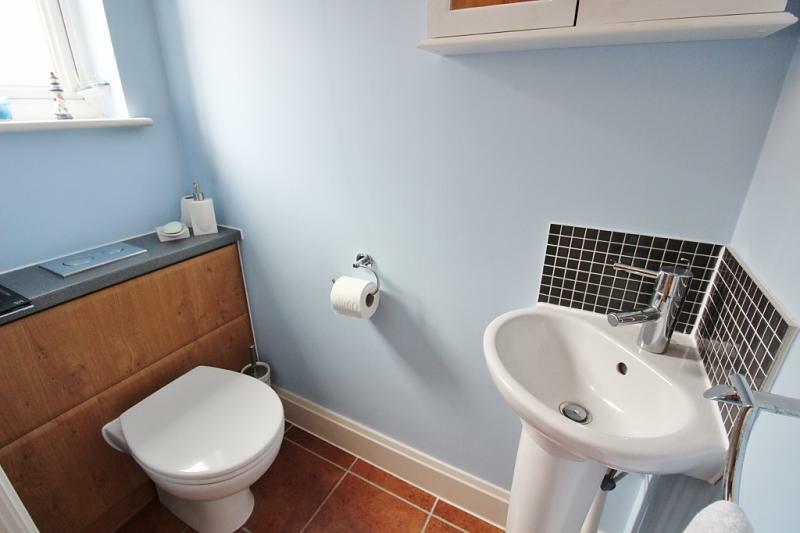 The property offers a GROUND FLOOR CLOAKROOM, family bathroom and EN SUITE to the master. 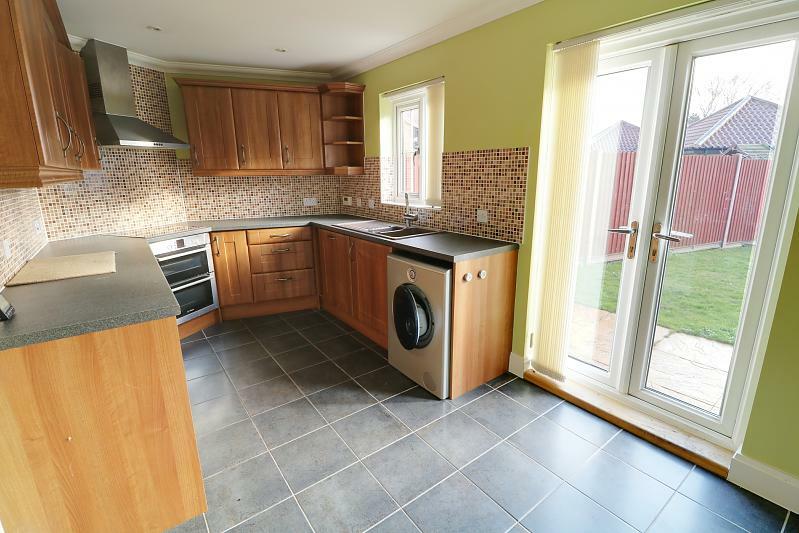 Also benefiting from under floor heating, fully double glazed, garden, GARAGE and DRIVEWAY. 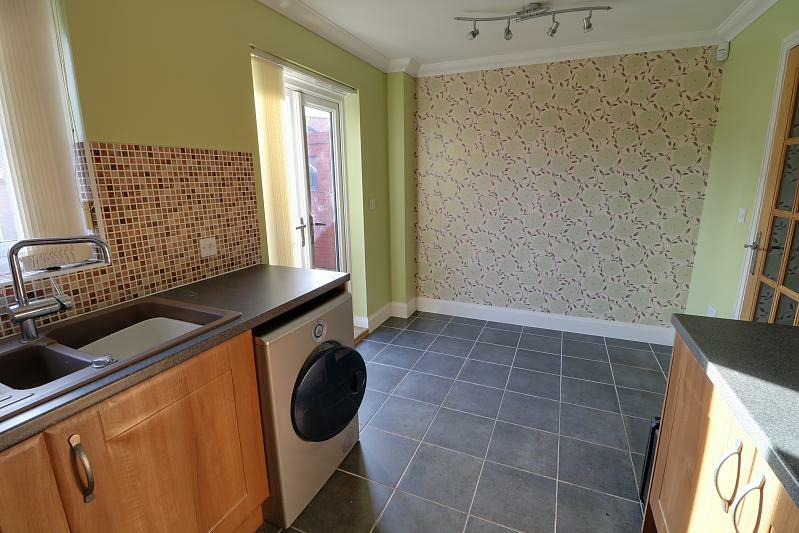 The property is well located for a local primary school, doctors, local shops and transport facilities. 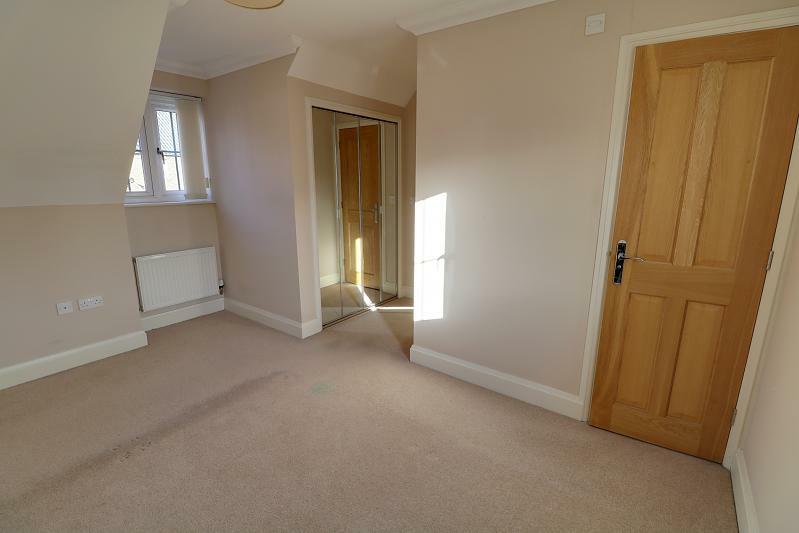 Presented to a high standard throughout well worth a look! Garden with stone rockery and path to front door. Upvc double glazed door into hall. 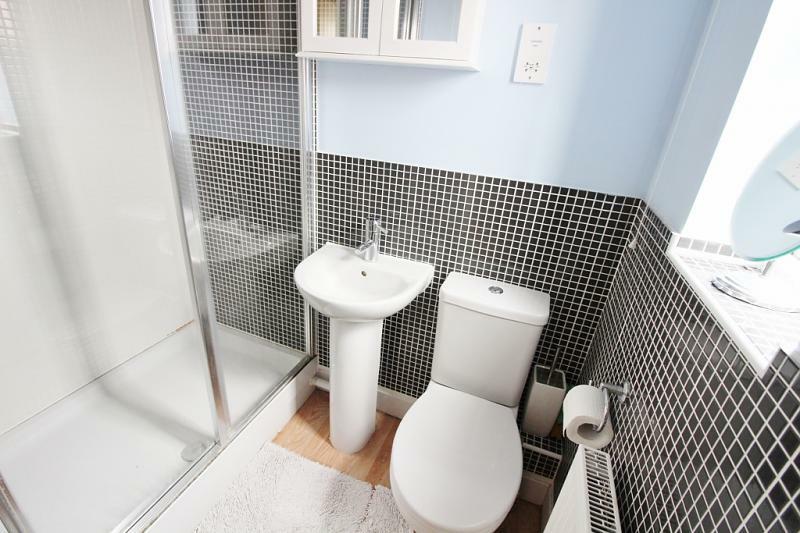 Tiled floor with under floor heating, hand wash basin with a mixer tap and tiled splash backs, low level WC with hidden cistern, coving, spot lights, frosted double glazed window. 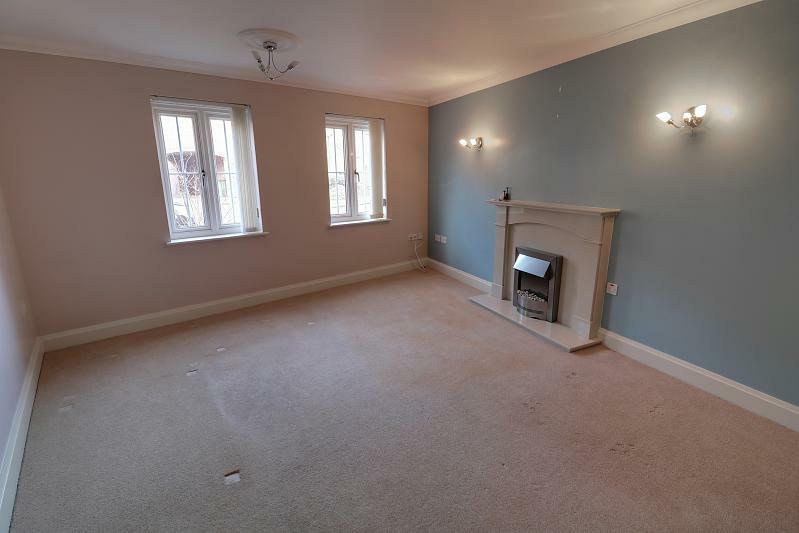 Two double glazed window, carpet with underfloor heating, wall lights, tv point, natural stone fire surround with a modern electric heater, two centre roses, coving. Range of wall and base units with drawers, composite one and a half bowl sink and drainer with a mixer tap, tiled splash backs, frosted double glazed window, built in double oven and ceramic hob, stainless steel cooker hood, spot lights, plumbed for a washing machine, integrated dishwasher, fridge and freezer, spot light, coving, double glazed doors to garden. 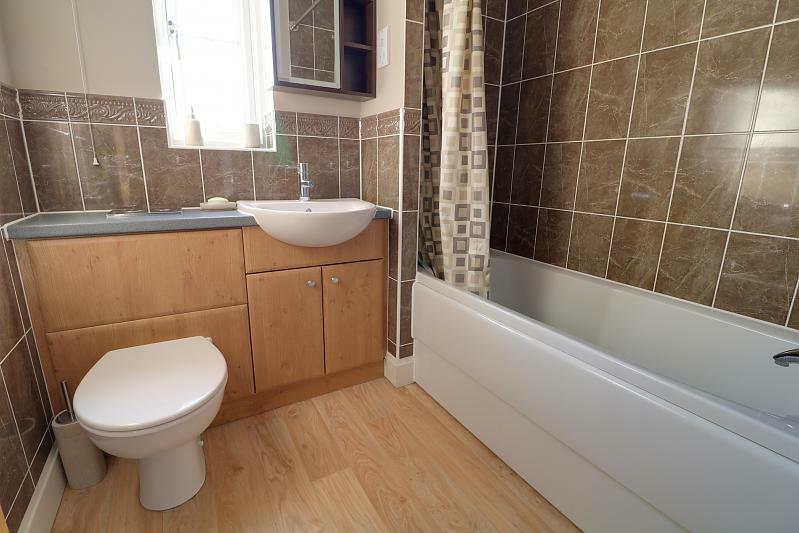 Wood style floor, heated towel rail, hand wash basin and low level WC with hidden cistern and vanity unit, frosted double glazed window, panelled bath with mixer tap and shower attachment, part tiled walls, spots lights, extractor fan. Radiator, frosted double glazed window, WC, hand wash basin with mixer tap, shower cubicle, tiled walls, wood style floor, spot lights. 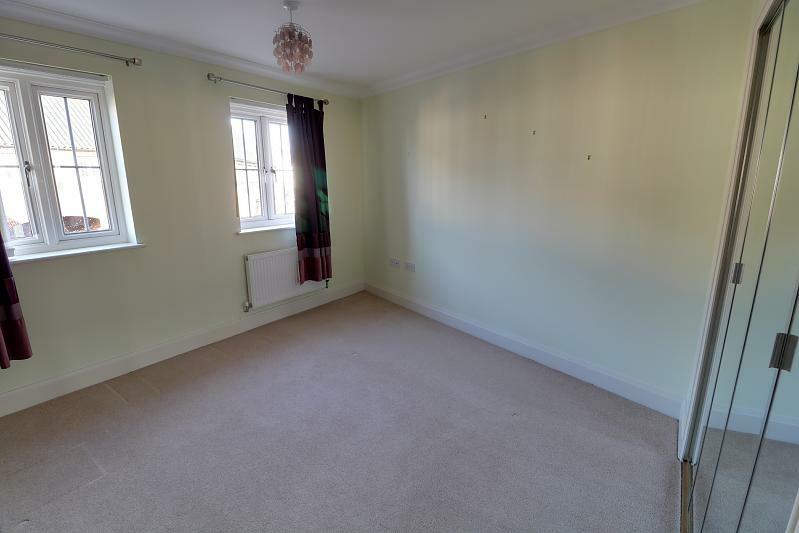 Carpet, wardrobes, two double glazed windows, tv point, coving. 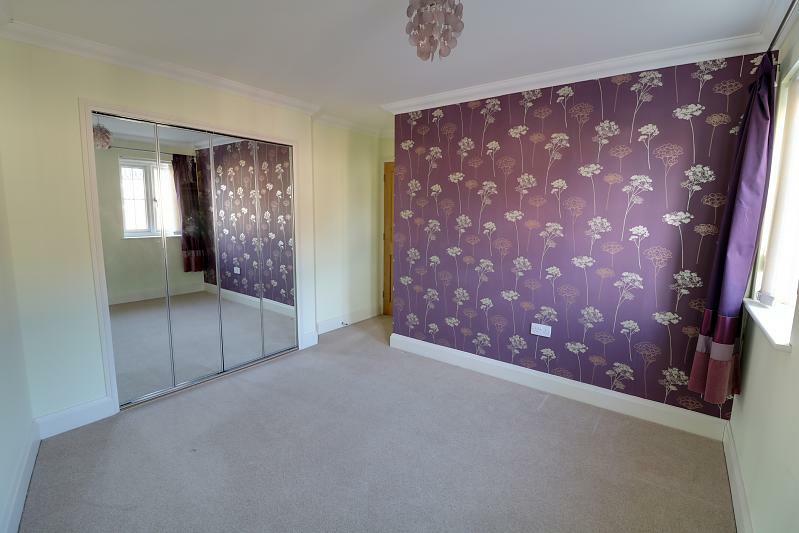 Wardrobe, double glazed window, tv, carpet, radiator. 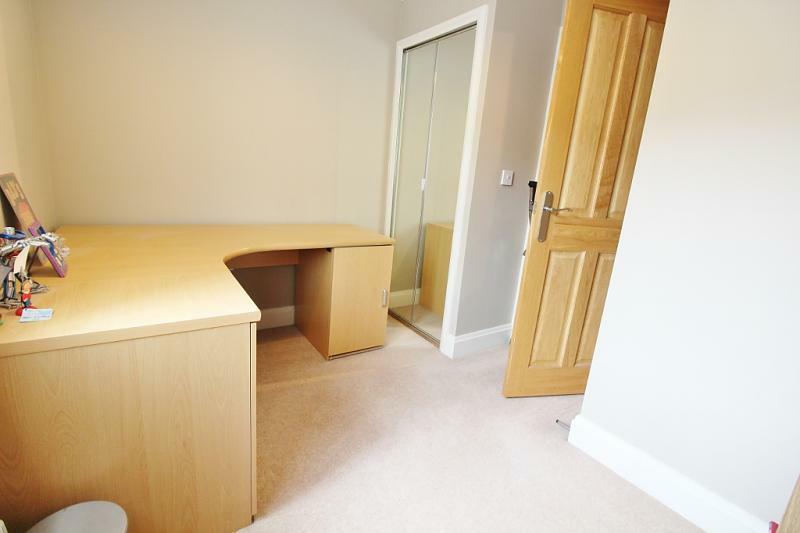 Wardrobe, carpet, double glazed window, radiator. 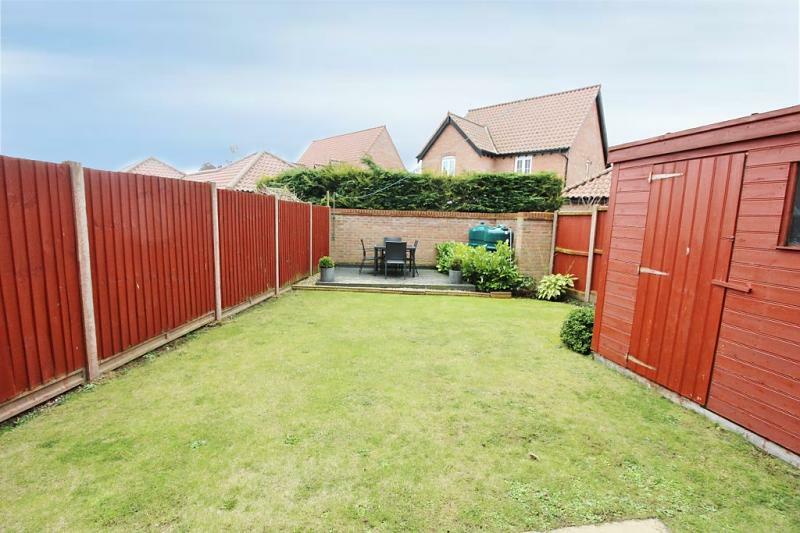 Garden with patio, lawn, oil tank, decked area, side gate to path and round to garage. Drive with space for one car. Garage with up and over door, power and lighting. From Great Yarmouth proceed North on reaching the Caister bypass roundabout take the first exit onto a section of dual carriageway and proceed to the next roundabout and take the second exit. Proceed to a further roundabout and again take the second exit. Proceed past the villages of Scratby and onto the village of Hemsby. On entering the village take the first left onto Yarmouth Road, proceed onto a crossroads and continue over onto Waters Lane. Continue along and turn right opposite the Village Playing Field, turn right onto Stablefield Way and follow the development round to the right hand side, where the property can be located on the right hand side.